Are there even mosquitoes in Tasmania? You could be forgiven thinking that Australia’s southern most state, Tasmania, is probably free of mosquitoes and certainly the chances of an outbreak of mosquito-borne disease would be rare. Is it even possible? 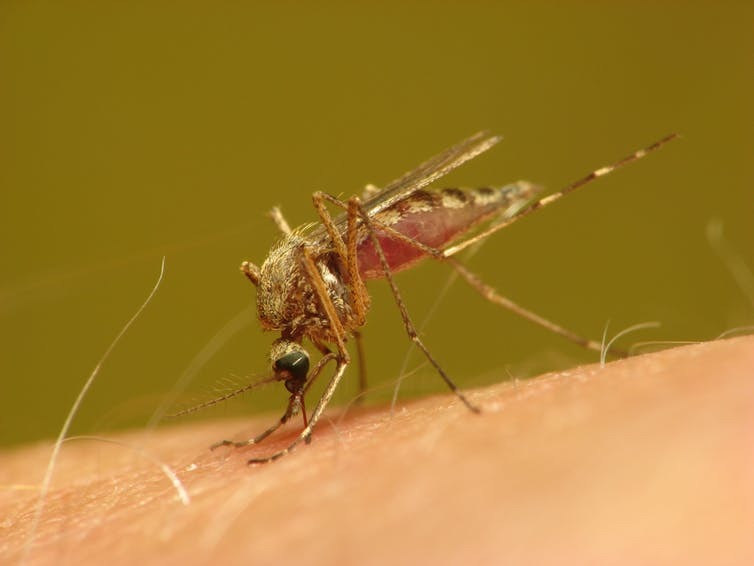 Health authorities in Tasmania have recently warned residents and visitors to avoid mosquito bites following reports of locally acquired infections of Barmah Forest virus. Ross River virus may be the best known of Australia’s local mosquito-borne pathogens but Barmah Forest isn’t far behind. Infection can cause an illness similar to Ross River virus disease, its typically marked by joint pain and inflammation, fatigue, rash, headaches, muscle pain, fever and chills. Fortunately the disease is not fatal. There have been outbreaks of Barmah Forest virus in many parts of Australia, not just in the tropical north. Significant outbreaks have occurred in NSW and southern Western Australia. While Tasmania may be cold, that doesn’t mean there aren’t mosquito problems. There is a range of mosquitoes found in Tasmania, including Aedes camptorhynchus, a key species of pest and public health concern. This mosquito is closely associated with coastal estuarine wetlands, especially saltmarsh environments. Tasmania has also had outbreaks of mosquito-borne disease. More than 100 people were infected with Ross River virus in the coastal region just to the east of Hobart in 2002. Specimens of Aedes camptorhynchus collected in the region tested positive to the virus making transmission risk most likely influenced by an abundance of this mosquito. Like Ross River virus, Barmah Forest virus is spread by mosquitoes to people from local wildlife. It is likely that the virus quietly circulates between native animals, such as birds and mammals, but when favorable conditions for mosquitoes occur and populations increase, the risks of transmission to people increase. While there is only a hand full of cases confirmed to date, a total of five with an additional two to be confirmed, it may not seem significant. However, it is a reminder that wherever mosquitoes, wetlands, and wildlife occur, there can also be a risk of mosquito-borne disease transmission. With a warmer Tasmania possibly resulting from climate change and a concomitant extension of the “mosquito season” in coming years, perhaps the public health risks associated with mosquitoes will be something for health authorities to keep a closer eye on in the future. Importantly, is it time for local authorities to proactively monitor mosquitoes and the activity of mosquito-borne pathogens? The image used at the top of this post comes from John Tann via Flickr; a mosquito (possibly Aedes alboannulatus) from Strahan, Tasmania. Find out more about the amazing mosquitoes of Australia by picking up a copy of the award winning “A Guide to Mosquitoes of Australia” from CSIRO Publishing. Spring is gone and with the arrival of summer comes the mosquitoes. Calls from the media inevitably follow shortly after. I have no doubt many journalists, broadcasters and producers have my name in their diaries, circled brightly in red, on the first day of summer! It is a fun part of my job to deal with the media. Its more than just getting a chance to talk about mosquitoes and their role in the local environment, it also provides an opportunity to do some important public health communications around the issues of mosquito bite prevention and management of mosquito-borne disease. What got the ball rolling this year was a joint media briefing arranged by ausSMC. Alongside colleagues talking about heat waves, summer storms, sun protection and bushfire, I shared some tips on protecting yourself from mosquito bites and mosquito-borne disease this summer. It was interesting speaking alongside Professor Sanchia Aranda, CEO of Cancer Council Australia, and comparing the ways we promote safe and effective use of sunscreens and mosquito repellents. This was picked up on in additional media coverage. Overall, there was over 300 local and international articles following this media briefing! The briefing provided an opportunity to fill a gap in public health communication I’ve identified (and tried to fill) in recent years. Health authorities are pretty good at providing advice on choosing mosquito repellents but less so on using them effectively. Ensuring repellents are actually used effectively is the best way to increase the protection of the community against mosquito-borne disease. In early December we held our “Sydney Ideas: Mosquitoes in the City” event at Westmead. This was a great opportunity to speak to the community and the well attended event prompted some broader interest in the work of presenters. It was a pleasure being able to visit the studios of ABC Radio National with Prof Tony Capon, Professor of Planetary Health at the University of Sydney, to discuss with Philip Adams how urbanisation and a changing climate may influence local mosquito populations and mosquito-borne disease risk. I’m working more and more with Tony so nice to share the opportunity to talk about this initiative with him on national radio. You can listen back here. This work is strongly linked to the theme of the “Mosquitoes in the City” event and there is clearly much to learn regarding the place of mosquitoes, wetlands, wildlife and mosquito-borne disease at the fringes of our metropolitan regions under the influence of a changing climate and the ways urban design responds to the threat. Why me? I wish mozzies would bite my friends instead! There was another boost in interest resulting from a spot on ABC News 24 Weekend Breakfast. 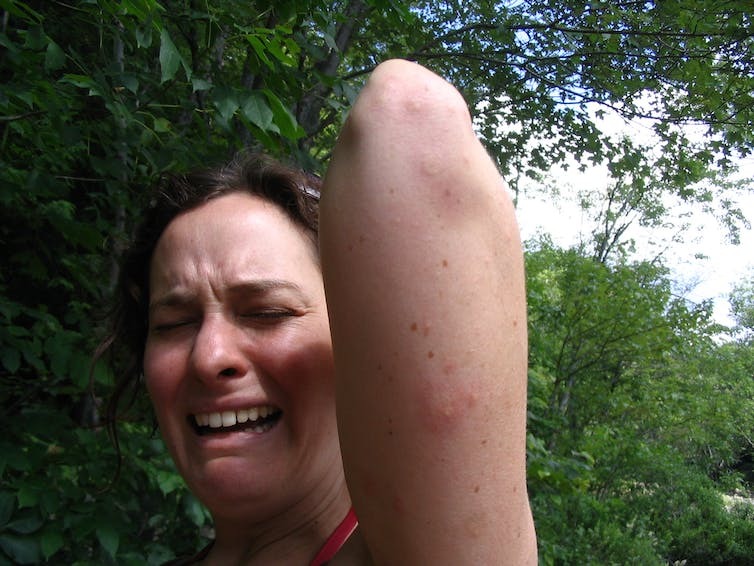 The accompanying online article explaining why mosquitoes are more likely to bite some people more than others then sparked considerable interest! What followed was a bunch of radio and television interviews. There was also a follow up article at News.com.au and this was also picked up on “Kids News” who republished a modified version of the story together with some suggestions for classroom learning exercises. Nice. There were two different experiences with ABC News. The appearance on Weekend Breakfast was great. I’ve done segments with Andrew Geoghegan and Miriam Corowa before, have always been impressed with their knowledge and interest. I really enjoy the relaxed feel on the show. Was also a pleasure working with Dale Drinkwater, the producer, who put together the segment and accompanying article. A couple of days later I appeared on News Breakfast with Virginia Trioli. As the program is produced out of Melbourne, I had to do a live cross from the Sydney studios. I always find these interviews a little uncomfortable as I’m tucked away in a small, dark recording booth staring down a camera and hoping my ear piece doesn’t fall out! I’m sure there is an art to these but I’m not sure I’ve mastered that just yet. With the warm weather arriving and everyone’s minds turning to summer, there is always a flood of festive season-related media stories. Once the mozzie stories started popping up, many more media outlets starting running segments. There were also warnings about the health threats of mosquitoes over the festive season from local health authorities. I had the chance to visit many radio and television studios to conduct interviews, this time it was the first opportunity to visit the Macquarie Radio (home to 2UE and 2GB) for what turned out to be a relatively long (by commercial radio standards) interview with Tim Webster on Talking Lifestyle/2UE including a few callers asking about mosquito repellents, disease risk and what the “purpose” of mosquitoes actually is! Listen back via the Holiday and Home podcast. Taking talkback can be tricky. I’m fortunate enough to have had an opportunity to do this reasonably routinely. I appreciate the opportunity to get a feel for what the community wants to know about mosquitoes, we should be taking these things into account when designing fact sheets and other communication material. There is no point in simply systematically repeating what has come before. Live TV can also be tricky. I also had the chance to do segments on Channel Nine’s Today and Today Extra programs. These are always fun and I do find it fascinating to see how the behind-the-scenes production of these shows get put together. Even the local newspaper, the Parramatta Sun, ran a nice story with great shot of me among the mangroves of the Parramatta River. It is also fun dragging photographers out into the wetlands. This time a fun shot of me from a different perspective other than simply standing beside a mosquito trap! There was certainly plenty of “buzz” (or should that be “hum”) about mosquitoes over recent weeks. Great to see other articles pop up by fellow science communicators as well as the occasionally celebrity. There can never be too many ways to get the message out! At the point where I thought everyone was getting sick of mosquitoes, my latest article on the safe and effective use of mosquito coils was published at The Conversation (as well as being republished by ABC News). To date there have been about 90,000 clicks on the article, highlighting just how interested people are in the topic. There were a bunch of other interview requests on the back of this including ABC Sydney, ABC Brisbane and ABC Adelaide. You can listen back to my chat with James Valentine on ABC Nationwide Afternoons here. To finish up, I think it is important to share some of the reality of wrangling all these media requests. Most importantly, it takes time. It takes time to prepare and it takes much more time to actually do these activities. For live television appearances, that often only last a few moments, you’re typically asked to arrive at the studios 30-40min prior to scheduled interview. Notwithstanding the travel time back and forth from studios (often very early in the morning), this means the interruption to the day isn’t insignificant. There was one day that I participated in two different teleconferences while in transit to and between interviews at ABC in Ultimo and Channel Nine in Willoughby! The other thing is that sometimes you’ll get bumped. I was scheduled to chat on a live television program that requested I bring along a cage of live mosquitoes. This is generally not a problem but it does take time, especially when I have to actually collect field caught mosquitoes especially for this purpose. Unfortunately, the segment got bumped on one day, rescheduled for the next and then bumped again for a second time. It would be easy to get really upset in these circumstances but it is a reality of dealing with the media. Don’t take it personally as these things are mostly out of your control. If you’re keen to engage with the media, this is just one of the many challenges you’ll need to learn to manage. Spot any other cool mozzie media things? Join the conversation on Twitter or Facebook! This is a special guest post from Dr Suzi Claflin. Suzi found herself in Sydney, Australia, (via Cornell University, USA) in 2015 to undertake a research project investigating the role of urban landscapes in determining mosquito communities associated with urban mangroves. She was kind enough to put this post together to celebrate the publication of our research in Wetlands Ecology and Management! Sometimes you’ve got to make hard choices for the greater good. These situations can arise anywhere, but here – as usual – we are concerned with mosquitoes. There’s a balancing act carried out by public health officials and wetland managers trying to both preserve endangered habitat and protect human health. In this guest post, I’ll explain the science behind research I recently published in collaboration with Dr Cameron Webb, and suggest one way forward for addressing human and environmental health concerns in urban wetlands. During my PhD, I studied how the landscape surrounding small-scale farms affects the spread of a crop virus and the community of insect pests that carry it. When I came to Australia to work with Cameron, I was surprised to find myself applying the same type of landscape ecology to mosquitoes and mangroves in urban Sydney. Mangroves are real team players. They provide a range of services to the surrounding ecosystem and to the humans lucky enough to live near them. Mangroves are extremely effective at protecting the shoreline (but this can sometimes be a problem). They prevent erosion by gripping the soil in their complex root systems and buffer the beach by serving as a wave break. By filtering sediment out of the water that flows over them, mangroves also prevent their neighbouring ecosystems, such as coral reefs and seagrass forests, from being smothered. Despite all their good work, mangroves have an almost fatal flaw; they prefer waterfront property. Unfortunately for them, so do humans. Urban and agricultural development has eaten away at mangroves, leaving them highly endangered. Mozzies are a public health menace, because they spread human diseases like Ross River virus (RRV). Because of this, public health officials rightly spend time considering how to supress mosquito populations in order to reduce the risk of disease transmission. Here’s where things get tricky: mangroves are great for mosquitoes. That leaves public health officials and wetland managers in a difficult position. On the one hand, mangroves are delicate, at-risk ecosystems that need to be preserved. On the other, mangroves and surrounding habitats potentially harbor both the animal carriers of the RRV (e.g. wallabies) and a load of mosquitoes, which means that people nearby may need to be protected. Dr Suzi Claflin trapping mosquitoes in the mangroves along the Parramatta River, Sydney, Australia. This is a hard question to answer. One approach is prediction: using measurements of the environment, like rainfall and tide level, to estimate what the mosquito community will look like in a given region. The mosquito community determines what management actions, like spraying an insecticide, need to be taken, based on the threat it poses to public health. We set out to explore how the way we use land (e.g. for residential areas or industrial areas) near urban mangroves affects the mosquito communities that live in those mangroves. The project involved dropping over retaining walls, slipping down banks, and tromping through muddy mangroves along the Parramatta River in Sydney. We set mosquito traps (billy cans of dry ice with a container on the bottom) and left them overnight to capture the mozzies when they are most active. We did this at two points in the summer, to see if there was any change over time. We found that yes, the way we use land around a mangrove makes a difference. Mangroves with greater amounts of bushland and residential land in the surrounding area had fewer mosquitos, and fewer species of mosquitos. On the other hand, mangroves with greater amounts of industrial land surrounding them had a greater number of mosquito species, and those surrounded by greater amounts of mangrove had more mosquitos. And, just to muddy the waters a bit more (pun intended), several of these relationships changed over time. These results show that although prediction based on the surrounding environment is a powerful technique for mangrove management, it is more complicated than we thought. Our work suggests another way forward: site-specific assessments, measuring the mosquito community at a particular site in order to determine what management approaches need to be used. This is a daunting task; it requires a fair number of man-hours, and mangroves are not exactly an easy place to work. But it would be time well spent. By assessing a site individually, managers can be confident that they are taking the best possible action for both the mangroves and the people nearby. It turns out that the best tool we have for striking a balance between environmental and public health concerns, the best tool we have for preserving and protecting, is information. In mangrove management—as in everything—knowledge is power. Mangroves harbor mosquitoes capable of transmitting human pathogens; consequently, urban mangrove management must strike a balance between conservation and minimizing public health risks. Land use may play a key role in shaping the mosquito community within urban mangroves through either species spillover or altering the abundance of mosquitoes associated with the mangrove. In this study, we explore the impact of land use within 500 m of urban mangroves on the abundance and diversity of adult mosquito populations. Carbon dioxide baited traps were used to sample host-seeking female mosquitoes around nine mangrove forest sites along the Parramatta River, Sydney, Australia. Specimens were identified to species and for each site, mosquito species abundance, species richness and diversity were calculated and were analyzed in linear mixed effects models. We found that the percentage of residential land and bushland in the surrounding area had a negative effect on mosquito abundance and species richness. Conversely, the amount of mangrove had a significant positive effect on mosquito abundance, and the amount of industrial land had a significant positive effect on species richness. These results demonstrate the need for site-specific investigations of mosquito communities associated with specific habitat types and the importance of considering surrounding land use in moderating local mosquito communities. A greater understanding of local land use and its influence on mosquito habitats could add substantially to the predictive power of disease risk models and assist local authorities develop policies for urban development and wetland rehabilitation. Dr Suzi Claflin completed her PhD at Cornell University exploring environmental factors driving the spread of an aphid-borne potato virus on small-scale farms. She is now a postdoctoral research fellow at the Menzies Institute for Medical Research in Hobart, TAS. In her spare time she runs her own blog, Direct Transmission, focusing on disease and other public health issues (check it out here). To learn more about her doctoral research, follow this link!